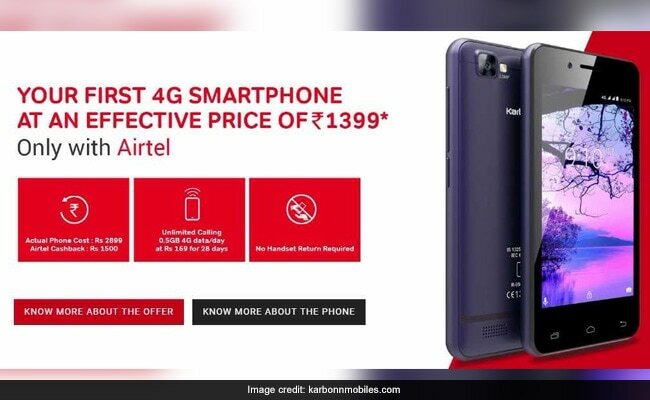 Bharti Airtel said the two smartphones - 'A1 Indian' and 'A41 Power' - will be available "at the price of a feature phone in partnership with Karbonn Mobiles". Bharti Airtel on Thursday announced the launch of two new Android powered 4G smartphones in partnership with handset maker Karbonn Mobiles. 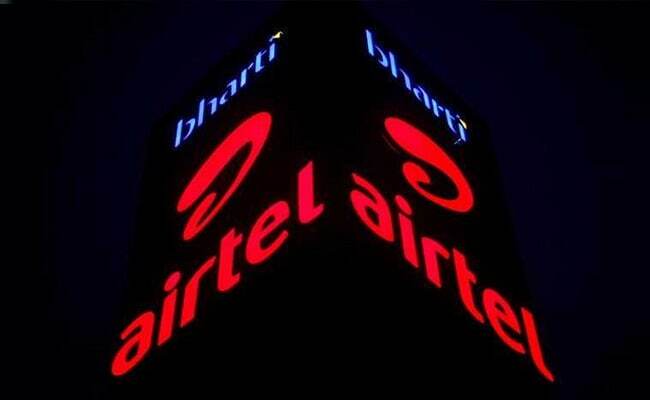 Bharti Airtel, India's largest telecom services provider, said the two smartphones, 'A1 Indian' and 'A41 Power' will be available "at the price of a feature phone in partnership with Karbonn Mobiles". Bharti Airtel said the A1 Indian 4G smartphone will be available at an effective price of Rs 1,799, as against the maximum retail price of Rs 4,390. The 'A41 Power' 4G smartphone, Bharti Airtel added in its press release dated November 16, will come at an effective price of Rs 1,849, as against its MRP of Rs 4,290. Bharti Airtel further said the launch - comprising the two 4G smartphones A1 Indian and A41 Power - is part of its 'Mera Pehla Smartphone' initiative. Airtel said the initiative is aimed at "enabling every Indian to buy a 4G smartphone and get on to the digital superhighway". "We are delighted to deepen our partnership with Karbonn to fulfill the smartphone aspirations of India. We saw very strong demand for our first offer under the 'Mera Pehla Smartphone' initiative, which validates the broad appeal of this innovative proposition. We are also delighted to have Amazon on board as a partner in this exciting journey and look forward to working closely with them," said Raj Pudipeddi, director-consumer business and CMO, Bharti Airtel. "Both devices come with a full touch 4" screen, 1 GB RAM, Dual SIM Slots, Dual Camera along with a host of features. The 4G smartphones, which are Google certified, run on the latest Android 7.0 Nougat OS and offer full access to all apps on Google Play Store, including YouTube, Facebook and WhatsApp," Bharti Airtel added. All devices under the Airtel-Karbonn partnership will also be available on Amazon India, Airtel said. "We are delighted to partner with Airtel. The immense response that we got for us our offer with Airtel helped us add 70 per cent new feature phone users to our existing portfolio. We feel that this partnership will be even more fruitful as it brings more competitively priced 4G smartphones to the market, especially with Amazon India on board," said Pardeep Jain, MD, Karbonn Mobiles. Airtel had earlier launched the A40 Indian, its first 4G smartphone in partnership with Karbonn. The smartphone (A40 Indian) was fully sold out within the first month of launch, underpinning the strong customer endorsement for this highly affordable proposition, Airtel added. 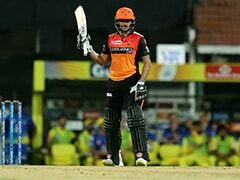 The A40 Indian was launched at an effective price of Rs 1,399. While A40 Indian is available on Amazon starting November 16, A1 Indian and A41 Power will be available starting next week, Airtel said. Both 4G smartphones come bundled with a monthly pack of Rs 169 from Airtel, it noted. 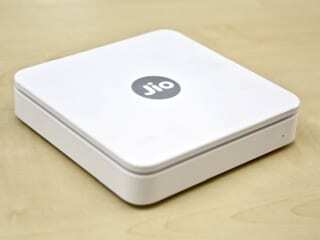 For the 'A1 Indian' 4G smartphone, the customer needs to make a down payment of Rs 3,299, Airtel said. Customers need to make 36 continuous monthly recharges of Rs 169 pack from Airtel. The customer will get a cash refund of Rs 500 after 18 months and another Rs 1,000 after 36 months, taking the total cash benefit to Rs 1500. For the A41 Power device, the customer needs to make a down payment of Rs 3,349, it noted. In case the customer does not wish to opt for the Rs 169 bundled plan, she/he has the flexibility of doing recharges of any denomination and validity as per individual requirements. However, to claim the cash refund benefit, recharges worth Rs 3,000 must be done within the first 18 months (to claim the first refund installment of Rs 500) and another Rs 3,000 over the next 18 months (to claim the second refund installment of Rs 1,000), Bharti Airtel added. The ownership of the smartphone is completely with the customer and there is no need to return the device to Airtel/Karbonn at any point to claim the cash benefit, it said.